President of Jackson Physician Search, Tony Stajduhar, gives insight into how vacancies and recruiting can quickly become costly. 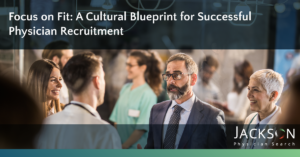 If you’re looking to reduce your cost to hire and optimize your return on investment when it comes to physician recruitment, this white paper is for you. Healthcare organizations depend on recruiting and retaining physicians and advanced practice providers to support their mission to offer quality patient care. A critically important vacancy can be costly to the organization, patients and community as a whole, impacting healthcare delivery, quality of life and the local economy. Maintaining continuity of quality care is of chief importance. Yet, a sense of urgency to fill a costly vacancy must be combined with a clear understanding of how investing in a strategic recruitment process can accelerate the fill and reduce the risk of making a poor hire. Return on Investment is a straightforward concept that is familiar to leaders in healthcare’s outcomes-driven environment. 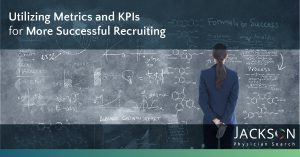 Yet, in the area of recruitment, many organizations lack a structured method and accountability for measuring recruitment success, efficiency and return on investment. Too frequently, recruiters do not know if their definition of recruitment success is the same as their boss’s or the board’s. As a result, there is no formalized process to measure efficiency and maximize results. Click the download button below to read the rest of the whitepaper.